* Keep your mobile activities safe & private. protect your online privacy when using the Internet in potentially unsafe locations, such as unprotected WiFi hotspots in hotels or cafes. * Servers grouped by countries, So you can select the country you want to connect easily. 1. 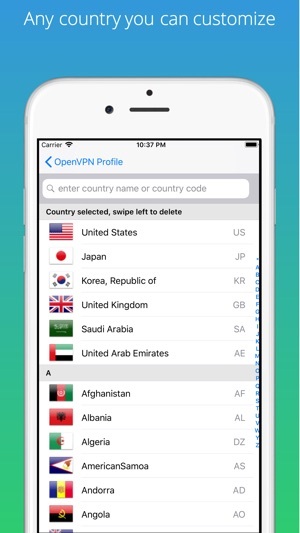 OvpnSpider will automatically search for free VPN servers on the Internet; and the result is provided as an OpenVPN profile which is categorized by countries. 2. Clicking the selected server on the list will automatically launch a popup view of the available applications. 3. If OpenVPN (the 'openvpn connect' application is already installed) is selected, the profile will be automatically imported into OpenVPN and then the user could connect to the VPN server. 4. If Mail is selected, the OpenVPN Profile .ovpn will be automatically inserted into the email as an attachment. 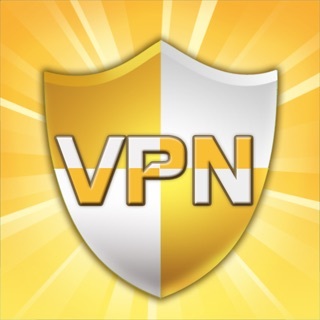 and the user can share the OpenVPN profile files to other devices or other users through the email. Thus other equipments which have already installed the OpenVPN application, could use the profile to connect to VPN server. - Our "monthly-subscription" subscription can be ordered monthly($0.99)! - Our "yearly-subscription" subscription can be ordered monthly($9.99)! - We offer an ad-free version for each subscription length! - You can turn off the auto-renew (by going to the user's Account Settings after purchase) at any time (24-hours before the end of the current period), but No cancellation for the current subscription period. Pop-up ads should be removed! It works in a country like Iran where internet is heavily censored; however, the pop-up ads are very annoying. But new version of this application doesn’t work in ipad 4 and iPhone 7 !!! It works in ipad 3 .
update to the latest version, or uninstall and reinstall it.